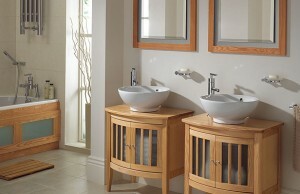 Are you looking to have that lavish looking bathroom but is limited by the available furniture’s? 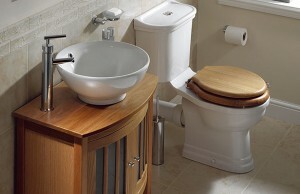 This limit is mainly due to small space in your bathroom that doesn’t allow nice big furniture’s. How about you consider a new concept of interior design to make a desired transformation? Start by creating additional space in the bathroom using furniture like mirrors, hanged wall cabinets and use fresh colors that coordinate with your fittings. You can also replace big bath tub with shower bath for some space for more furniture to feet. You can get well feting furniture’s ranging from drawers in different shapes and sizes like small medicine cabinet with mirrored door, cup boards drawers and open shelves. Corner cabinets are excellent furniture that will utilize corner space and they are fitted either up the wall or on the floor. Dual purpose furniture like the mounted bath basin that is mounted bellow the counter unit allowing you more surface space to store your toothbrushes and other daily bathroom essentials. Space can limit important furniture’s from getting space, open shelves placed under a wash stand, between two units or above the basin can be used to store your daily bathroom toiletries and glass shelves are also essential to create a feel of more space in the room. For all your toiletries, linens and eve towels get cabinets to beautify your bathrooms with choice ranging from bathroom vanity, wall cabinets medicine cabinets. The right kind of shower in your bathroom is important in terms of the amount of space it takes and the king of look it gives. If you have a small bathroom, the best choice would be a corner shower stall as it takes less space and utilizes the corner space of your bathroom or using stalls with glass doors make the room look bigger and luxurious. The idea is to compact you space with equipments and furniture’s without using a lot of space. 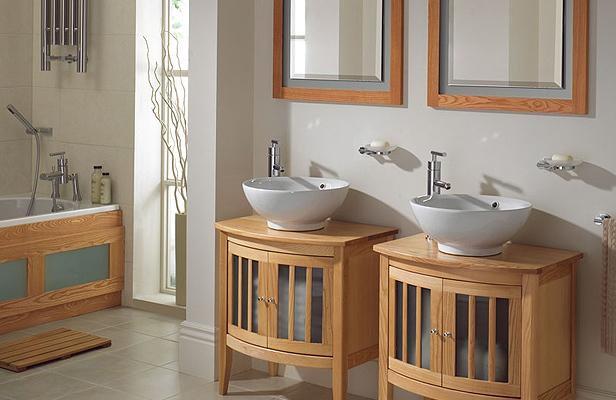 When making a choice of bathroom furniture, consider furniture’s that can be double up like other things, for instance, a vanity units that combines with a sink, storage and work place. This is essential for creating space. Don’t feel limited by choice of available furniture, realistically speaking; you need not have plenty of money to make your bathroom stylish, a good look can be achieved simply by being creative in your choice of not the price of the furniture. It is also essential to consider the persons going to use to use the bathroom furniture’s and how often they will be using them. For instance, consider children, you may need cup boards that are placed high up for medicines to keep the children from their reach. All furniture to be purchased or placed in the bathroom like any other furniture can have changes made to it or made according to your style and preference to match your bathroom needs. This entry was posted in Bathroom Furniture and tagged bathroom furniture. Bookmark the permalink. ← Replace Your Old Mattress with a Memory Foam Mattress – The Best Choice Around!